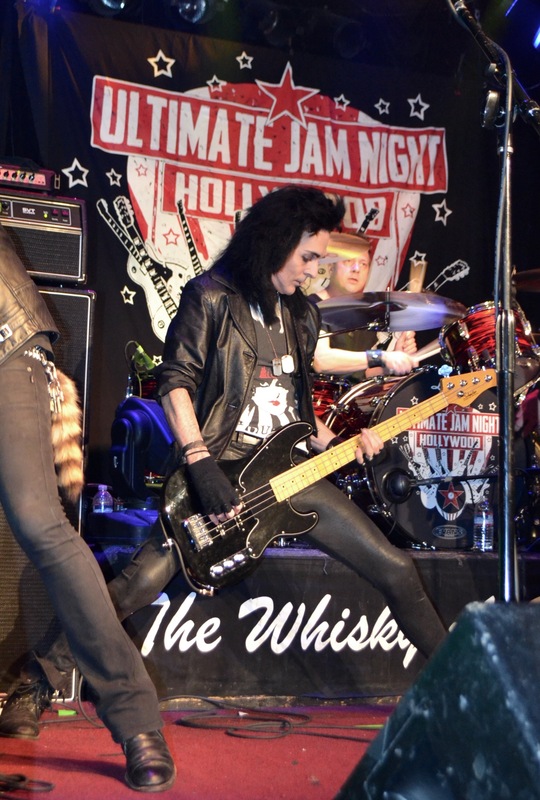 (Hollywood, California) – Ultimate Jam Night, (www.ultimatejamnight.com) the long-running weekly free music show held at the famed Whisky A Go Go, announced creation of a season-long broadcast live-stream deal with Zinna.TV (www.zinna.tv) for worldwide broadcast of its show. 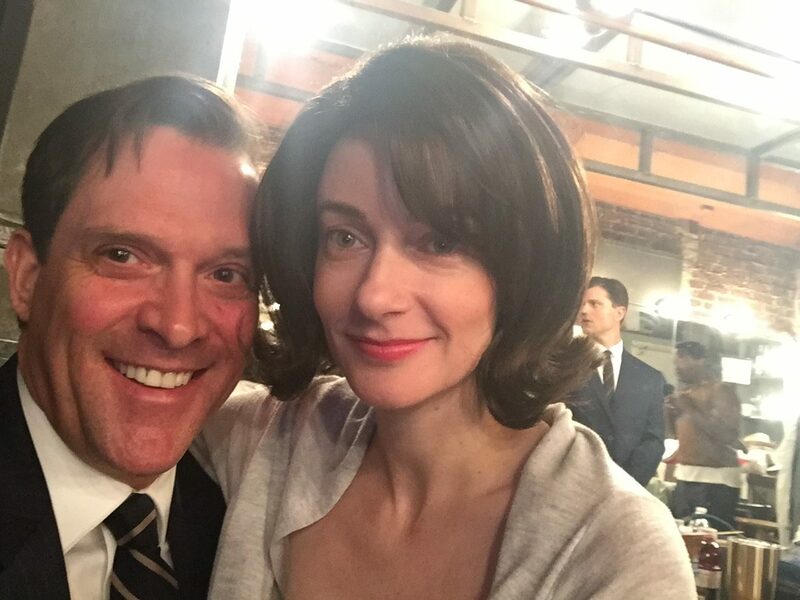 The broadcast allows real-time viewership on any mobile or internet-connected device. 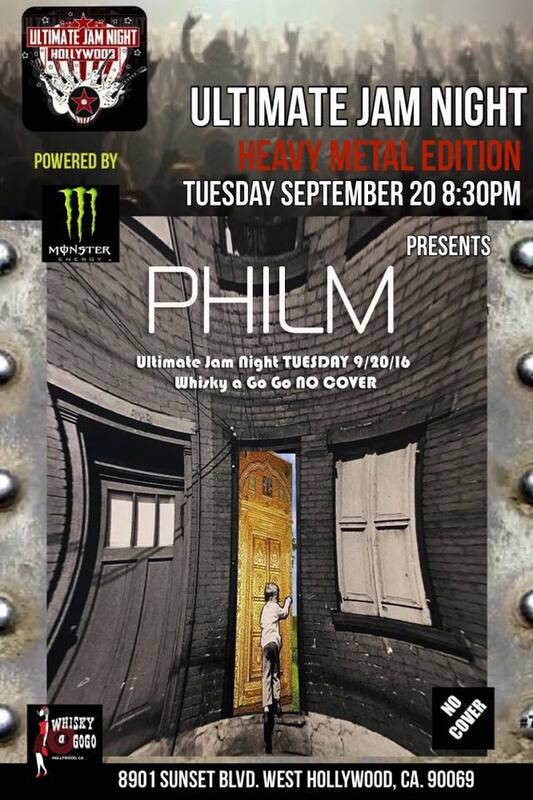 Weekly broadcasts officially begin this Tuesday, September 20, 2016 at 8:30 PM PDT when Ultimate Jam Night also unveils the new line-up of the band Philm with guitarist Gerry Nestler, bassist Pancho Tomaselli, and drummer Anderson Quintero. 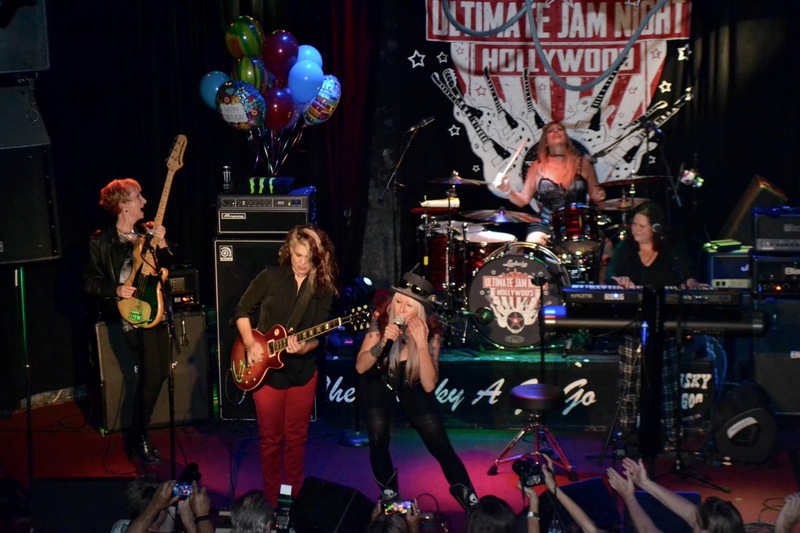 Broadcast each Tuesday beginning at 8:30 Pacific Time from Hollywood’s famed Whisky A Go Go, Ultimate Jam Night features a rotating line-up of the world’s best musicians playing covers and original tunes in a completely unrehearsed setting. Many of the musicians take the stage have never even met each other before playing together. Often inserted into the weekly line-up of players are one or two well-known bands. This week’s show introduces the music world to the new lineup of Philm. The band parted with drummer Dave Lombardo amidst some controversy in January of this year. 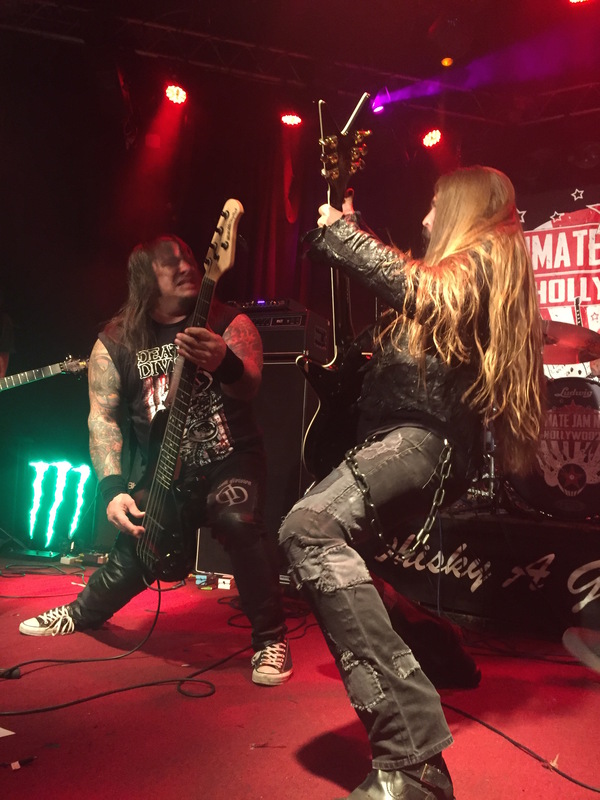 Formed in 2010 as a progressive power metal trio, Philm began as an ambitious project combining the talents of Civil Defiance guitarist Gerry Nestler, WAR bassist Pancho Tomaselli, and Slayer drummer Dave Lombardo. Lombardo is being replaced by young Latin sensation Anderson Quintero. 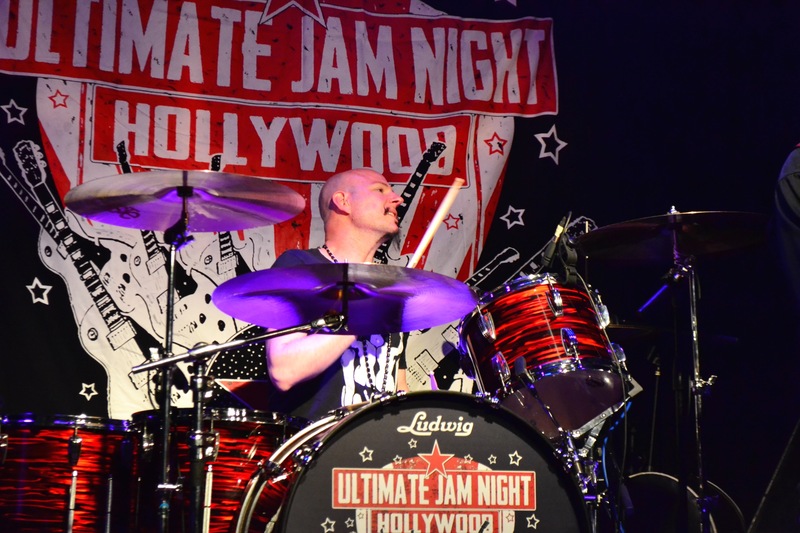 The new lineup debuts on the September 20th edition of Ultimate Jam Night. 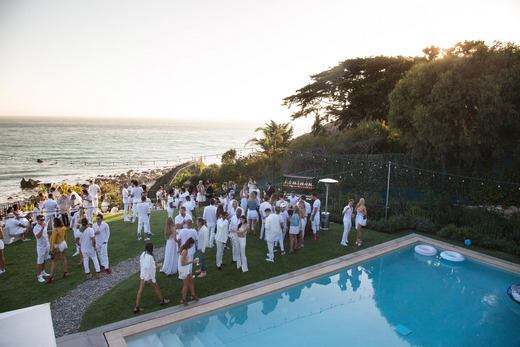 Established by “media mad scientist” Mike Zinna, Zinna.TV brings Hollywood’s coolest events to the world by broadcasting original content you cannot find anywhere else. 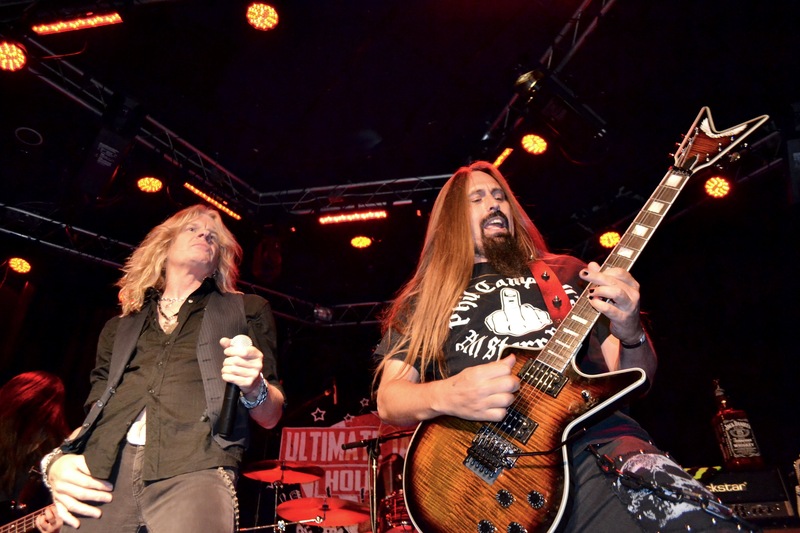 Current programs include Ultimate Jam Night from the Whisky, Inside Metal, GeekScape, Absolutely Jason Stuart, Drumsmack, Reef Madness, Spill the Tea, Just Like You, Grand Theft Audio, and more. 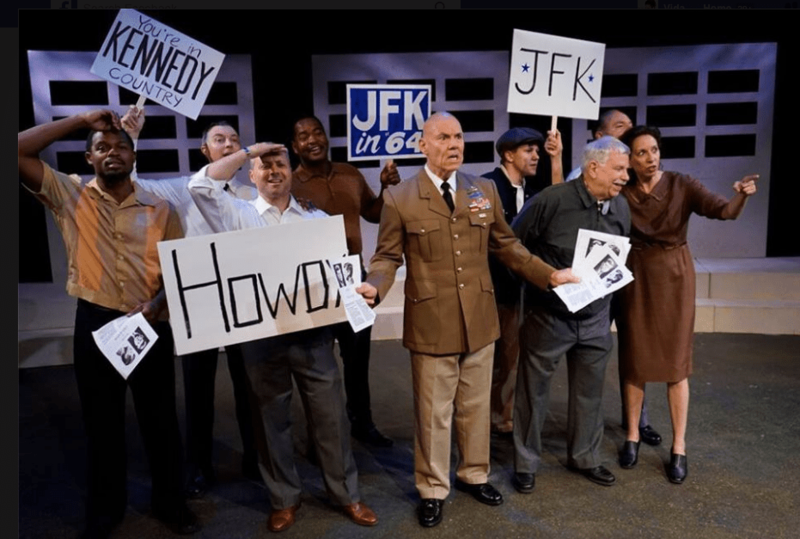 Check out the line-up by visiting: www.zinna.tv. 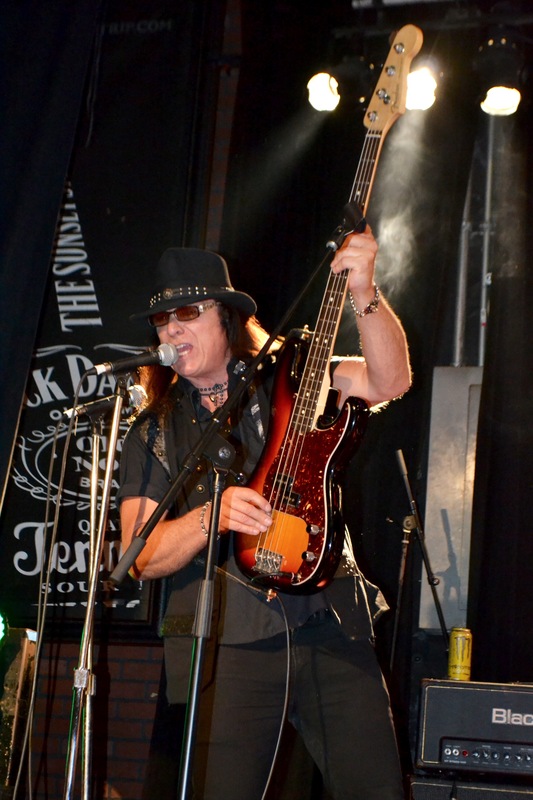 Tuesday night at the Whisky A Go-Go was more than just 70’s night for The Ultimate Jam, it was also founder Chuck Wright’s (Quiet Riot) Birthday bash. 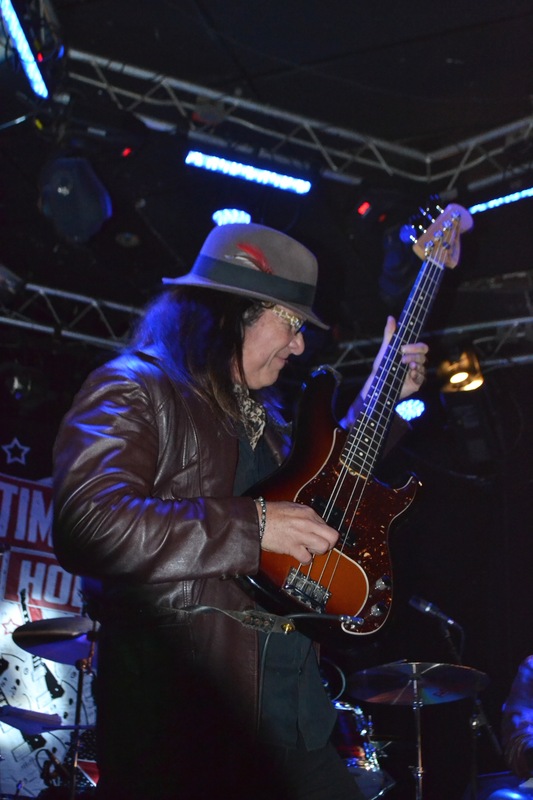 The show opened on Tuesday with Precious Metal featuring founder and original drummer Susette Andres, original bassist Alex Peterson, vocalist Leslie Knauer, guest keyboards/sax Aviva Maloney, guest guitarist Jeff Mattern, and featuring lead guitarist Janet Robin. 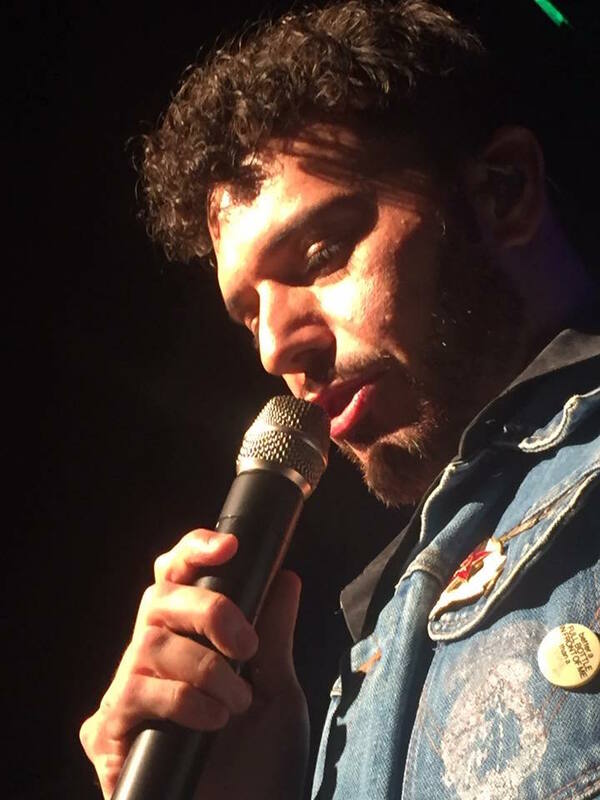 The second opener from Los Angeles, combining elements of both classic, alternative and modern rock with soul, blues and funk was FIRE. 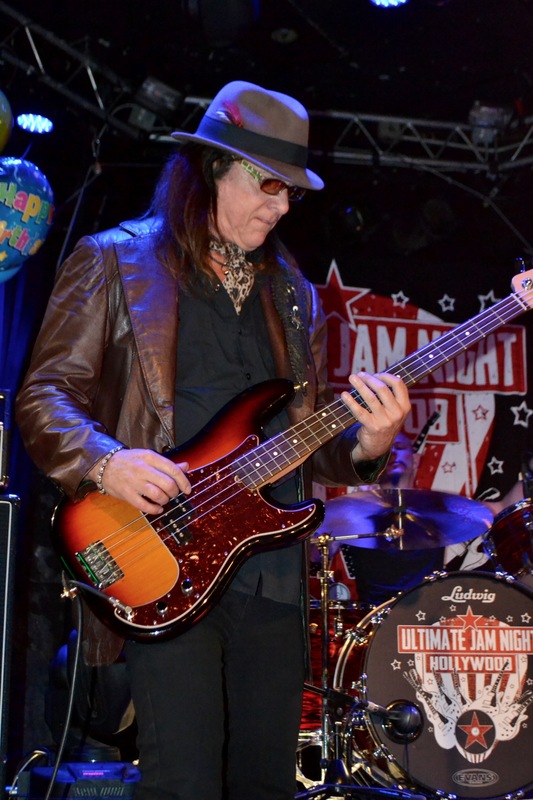 In typical fashion, The Ultimate Jam Night was packed full with talent, energy and excitement. 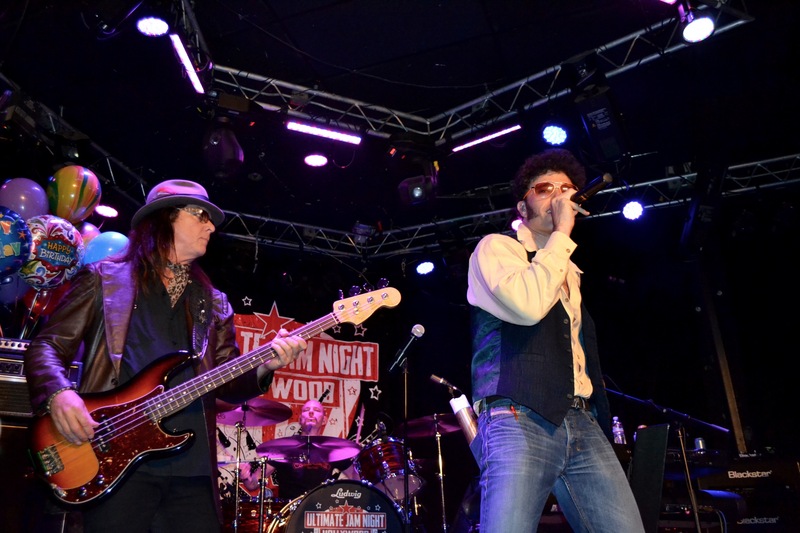 Paulie Z performed along side Wright for a Grand Funk Railroad iconic 70’s song, An American Band. Another classic from Led Zeppelin and the 70’s rock movement was Dazed and Confused, recreated beautifully by the incredible Debby Holiday. So many fabulous songs from the era were represented, including two Journey classics, Lovin’ Touching’ Squeazin”, and Wheel in the Sky. The night concluded with the biggest hit of the decade, and still a favorite of every rocker, and Eagle’s mega hit, Hotel California. 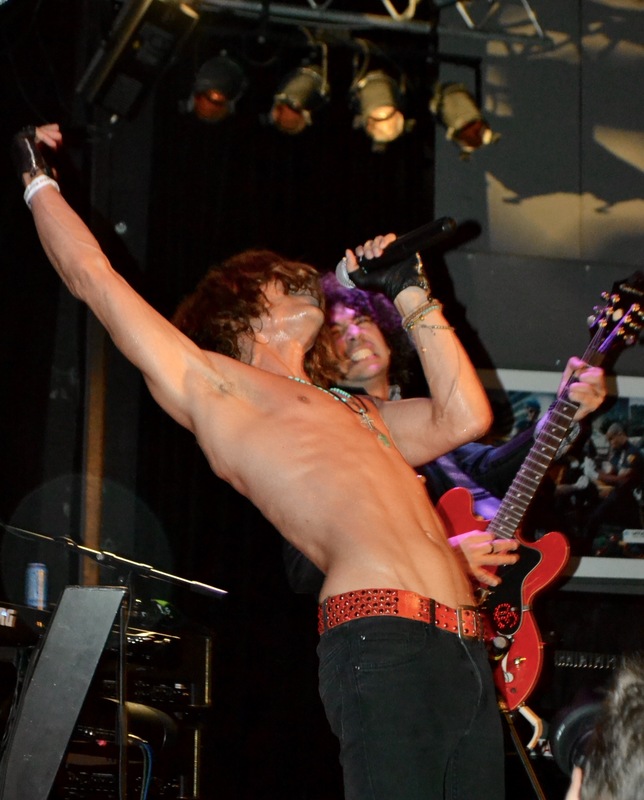 The Ultimate Jam Night rock stars delivered another knock out evening of pure entertainment. MyLücke is a great company for those on the go especially in a big metropolis like Los Angeles, where the company is headquartered. This innovative company is an on-demand, private parking marketplace that makes hourly, daily, weekly and monthly parking easier for drivers, while serving as an additional source of income for people with under-utilized parking spaces. Also described as a virtual Airbnb for parking , the app-based solution is an intelligent player in the ‘share economy.’ My Lücke’s goal is to help provide more available parking spaces for both consumers and commuters (employees) who encounter continuous issues in finding a place for their car. By providing more parking, MyLücke in turn alleviates traffic congestion in busy areas like Los Angeles, California where MyLücke is headquartered. The MyLücke app can be downloaded for free in the App Store. 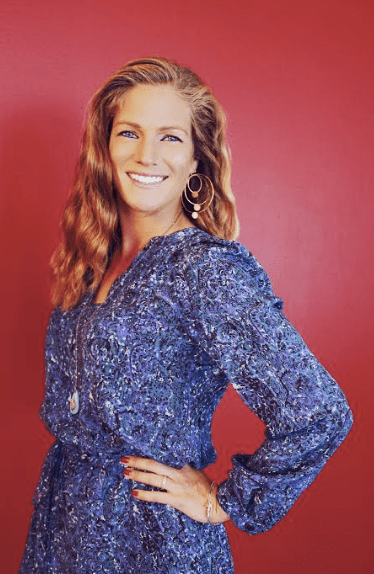 After founder & CEO, Emily Webb, moved to Los Angeles, she noticed how even a short 30-minute drive can become a full hour task if a driver is forced to add extra time to seek parking once they arrive at their destination. Emily was paying outrageous amounts of money for public parking, oftentimes $30- $40 a day – not to mention the cost of tickets for expired metered parking and street cleaning. Plus the extra time looking for parking ruined the driving experience and caused her unnecessary delays and stress. For most people, the lack of reliable, cost-effective parking can become a daily inconvenience and ultimately, effect the lifestyle and happiness of people’s every day experiences. MyLücke is solving the universal problem of parking in both urban and rural areas. Research shows that cars are predicted to double worldwide by 2020, and valuable land can not continue to be consumed by public lots and garages. As society continues to take a stronger approach towards a share economy, it is MyLücke’s goal to exploit vacant and available parking space while allowing everyday people to generate additional income from their parking. First, anyone looking for parking in Los Angeles in areas where spots are scarce, expensive, and hard to find. Second, business owners and residents in Los Angeles who have under-utilized, available spots they can rent out to parkers. Unlike competitors, MyLücke is focused on utilizing private parking spaces to help alleviate hourly, daily, weekly and monthly parking demands. Most competitors have partnered with commercial parking lots and target consumers who want to avoid one-time, event parking hassles. 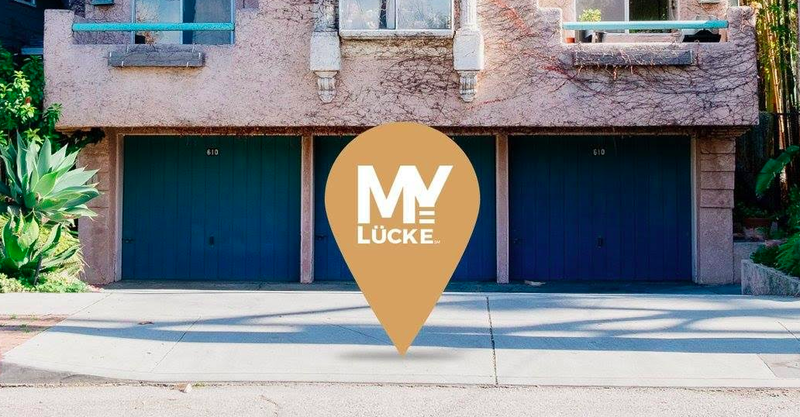 MyLücke is targeting people’s driveways and private businesses (even churches and retail spaces) where existing space exist and have the opportunity to be monetized! In fact, most businesses waste a lot of valuable parking spaces for customers on employee parking and this ultimately loses them valuable customers. MyLücke will help them to retain this value. MyLücke also offers unique features, one of them being that parkers can extend their reservation through the app based/dependent on availability. MyLücke also has a 24/7 parking concierge and see customer support. The best part is that MyLücke Renters receive 100% of the rate set. (MyLücke adds and collects a surcharge- paid by Parkers- to the rate that Renters list their parking space for.) MyLücke is the perfect choice for Angelenos on the go!